March 21, 2016 Daniel Gouré, Ph.D. The Middle East is afire, Russia is on the march and France, the United Kingdom, the United States and dozens of other countries are at war with the Islamic State of Iraq and Syria. The Eastern Mediterranean is at the center of a titanic geo-political and strategic struggle as refugees flood to Europe from the Near East and North Africa. United States air units are deployed to Turkey and Russian forces to Syria. Turkey, Egypt, Saudi Arabia, the Gulf States and Israel are building up military defenses due to increasing chances of conflict in the region. The U.S. and the North Atlantic Treaty Organization (NATO) need a stronger presence in the Mediterranean to monitor activities, and to prevent attacks on members and partners. The increasing conflict in the Eastern Mediterranean calls for a stronger U.S. Sixth Fleet, but Chief of Naval Operations, Admiral John Richardson, has stated there is no plan to bolster scarce U.S. naval resources in the region. This means the alliance must adapt by developing a new approach to its southern flank, increasing its presence, developing a European Maritime Security Strategy, and building ally and partner relations and regional security architectures. To deter aggression in the region, NATO also needs to boost the military power of its existing members. Greece is one example of a member nation that could increase its involvement, and thereby strengthen NATO’s capabilities. Greece has a long history with the West, and serves as a key geopolitical point for NATO. The country forms the alliance’s southern tip, and its large eastern border is exposed to volatile conflicts that unfold in North Africa, the Middle East, and the Persian Gulf. According to Admiral James Stavridis, former Supreme Allied Commander at NATO, and current Dean, The Fletcher School of Law and Diplomacy, Tufts University, has shared, “Greece occupies a remarkable geopolitical position as a solid southeastern anchor to the NATO Alliance. The bases on Crete are particularly critical when looking at the instability in the Levant. NATO should work with Greece, the United States, and other allies to strengthen the bases and increase their utility to NATO and the European Union.”[i] Greece is a trusted and capable ally that is one of five alliance members that meets the alliance goal of spending two percent of gross domestic product on defense, consistently surpassing the minimum as far back as 1988. The Hellenic Republic regularly participates in military exercises with allies and partners, and hosts U.S. forces and multiple NATO facilities. Greece’s contributions allow for alliance cohesion, and the security of the Mediterranean and Europe by helping with reconnaissance missions, logistics, maintenance, and air refueling support. Admiral Mark Ferguson, Commander, Allied Joint Force Command Naples, and Commander, U.S. Naval Forces Europe-Africa, has confirmed that Navy Support Activity Souda Bay located on the Greek island of Crete is a strategic logistics and maintenance point that supports both allied and U.S. ships and aircraft conducting operations in the Mediterranean Sea. 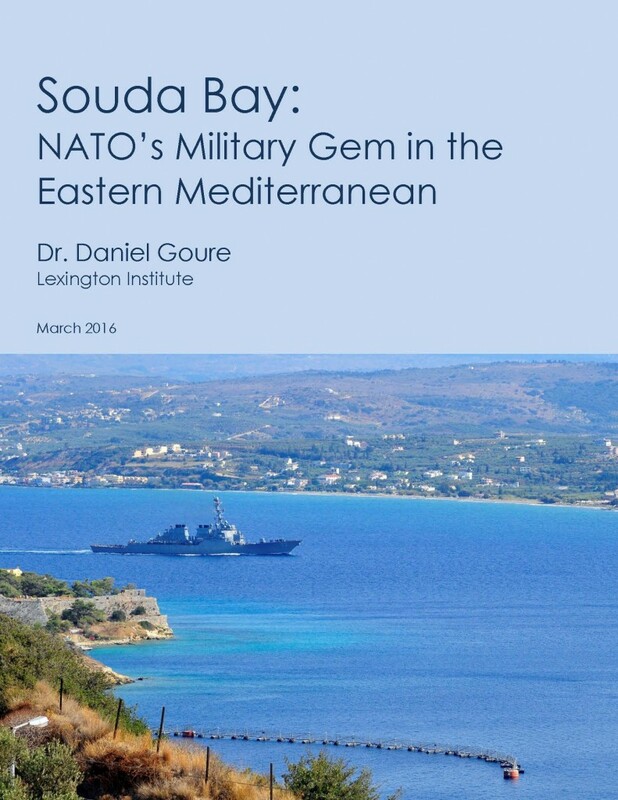 American forces rely on the strategic location and support capabilities of Souda Bay to sustain U.S. forward presence and respond to crises in the Eastern Mediterranean. [ii] Souda Bay is one of the few locations capable of hosting a permanently based aircraft carrier in the Eastern Mediterranean along with destroyers and amphibious ships that would allow for quicker and cost effective responses in the Middle East, North Africa, and the Persian Gulf. 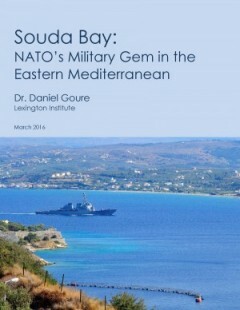 In addition, NATO Maritime Interdiction Operations Training Center at Souda Bay serves as a “One Stop Shop” in the area by educating maritime law enforcement. The NATO Missile Firing Installation is located nearby, serving as the only place in Europe where missiles can be test fired, and is capable of hosting Marine battalions when forces are needed in the region. The NATO Fleet Operational Readiness Accuracy Check Site ensures vessels are working properly so alliance members can share accurate information. Athens, Washington, and NATO should identify more synergies to work together and protect peace and commerce in the Mediterranean Sea. [i] Admiral James Stavridis, Supreme Allied Commander at NATO 2009-2013, and Dean, The Fletcher School of Law and Diplomacy, Tufts University, Interview (February 3, 2016). [ii] Admiral Mark Ferguson, Commander, Allied Joint Force Command Naples, and Commander, U.S. Naval Forces Europe-Africa (February 19, 2016).